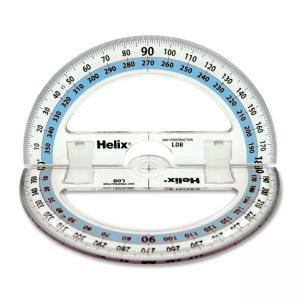 Folding protractor folds out to a full 360 degrees and features bold, easy-to-read markings for greater accuracy. The design of the protractor lets you easily fold it in half to slide into your pencil case. The 6" (15cm) protractor is made of clear, recyclable plastic.